NEW YORK - The likely liquidation of Toys R Us, the nation's largest independent toy seller, could add stress for the companies that make toys and games, and mean changes for the owners of the strip malls where most of its stores are. WHAT HAPPENS TO TOY MAKERS? Toy companies, both big and small, will lose a place to test new toys. Toys R Us was a launchpad for emerging trends and toys, such as ZhuZhu Pets, which were the must-have holiday toy in 2008. 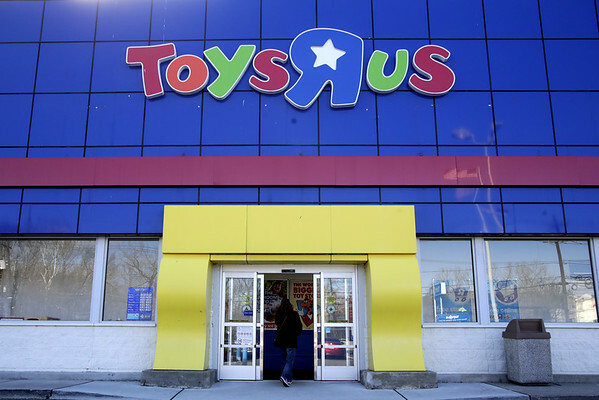 “Toys R Us was known as an incubator,” said Jim Silver, editor-in-chief of toy review site TTPM.com. The toy makers will also have to find new places to sell their goods. The bigger toy makers - Hasbro and Mattel - will likely hurt at first, but then find their footing at Walmart, Target and Amazon, says Richard Gottlieb, a consultant at Global Toy Experts. Toys R Us accounts for about 11 percent of Mattel's annual sales and about 9 percent of Hasbro's annual volume, analysts estimate. Both have posted lackluster financial results of late, and there was talk last year about the possibility of a merger between them. But smaller toy companies will have a harder time. Silver believes they will be hurt more than Mattel Inc. and Hasbro Inc. since Toys R Us could account for up to 40 percent of their overall business. And big stores, such as Walmart and Target, are less likely to sell smaller brands because they have less space to sell toys. Stephanie Wissink, a toy analyst at Jefferies, wrote in a recent note that small companies will explore selling themselves to survive. She thinks that Hasbro and Mattel will be best positioned to add more small- to medium-sized toy makers to their portfolios. WHAT HAPPENS TO THE REAL ESTATE? Real estate executives offer different opinions on whether landlords can easily fill the holes at the strip centers where most of the Toys R Us locations are. Given the chain's issues, the closings aren't a shock to landlords, and they've already been trying to line up possible tenants to replace Toys R Us over the past few months, said Katy Welsh, a senior vice president at the southern Florida division of the commercial real estate brokerage firm Colliers International. Welsh says she's been working with a number of companies like Glowzone, an entertainment park, and Lucky Markets, which offers beer tastings in its stores, which would be interested in taking some of the spaces nationwide. “You have to look at this as an opportunity to reposition that store,” she said. But Suzanne Mulvee, director of research for CoStar, a real estate research firm, says that 51 percent, or 450 Toys R Us's stores are in shopping centers considered low-quality. So landlords could struggle to replace them with tenants at similar rates - or worse, they could remain vacant, she says. She says she also believes that matching the size of the box, which average about 30,000 square feet, could be difficult as well. “The sweet spot seems to be boxes that are under 25,000 square feet, ” she says. WHAT HAPPENS TO THE BRAND? Toys R Us, as a well-known and long-lasting brand, may yet have a future - the company even quoted its classic jingle in its bankruptcy filings. And other seemingly dead retailers have a way of coming back to life. American Apparel, which closed all its stores last year after filing for bankruptcy, was revived by another company as an online-only clothing store. FAO Schwarz, which Toys R Us once owned, is opening shops inside department stores in the U.S. and China. And Sharper Image, which also shut its stores, now sells gadgets online and opened a New York pop-up shop during the holidays last year. Posted in Newington Town Crier, Business, Newington News, State on Thursday, 15 March 2018 11:05. Updated: Thursday, 15 March 2018 11:07.